Dr Azrina Md Ralib obtained her Bachelor of Medical Science degree from the University of St. Andrews, UK and Bachelor of Medicine and Bachelor of Surgery (MBChB) degree from the University of Manchester, UK. Upon completion of her bachelor degrees, she returned to Malaysia for her housemanship training. She then joined the Department of Anaesthesiology and Intensive Care in 2002 as trainee lecturer, and started her anaesthesiology training at Universiti Sains Malaysia, Kubang Kerian. She graduated as Clinical Specialist in Anaesthesiology in 2006 with several awards to her name, including the ... show more EsmeronA? M.Med. Anaesthesiology USM Award for best student performance in Master of Medicine (Anaesthesiology), and Research Fellowship Award for original and significant research by The Heart Foundation of Malaysia. For her outstanding research work in Malaysia, she is the recipient of the Promising Researcher Award, IIUM Quality Day 2010, Department Best Indexed Journal Articles, IIUM Research Invention and Innovation Exhibition 2015, Malaysian Society of Anaesthesiology Award 2016, Malaysian Society of Anaesthesiology Award 2015, and Best Oral Presentation in the Annual Scientific Meeting on the Intensive Care 2013. She is the recipient of several research grants from various bodies including the Ministry of Higher Education, Malaysian Society of Anaesthesiology, Japan Society of Anaesthesiology/World Federation Society of Anaesthesiology, Heart Foundation of Malaysia and University of Otago, New Zealand. 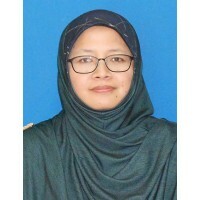 She is also currently involved in several research collaborations with various universities in Malaysia, Australia and New Zealand, and have several publications in various ISI and Scopus cited journals. Dr Azrina has 11 yearsa?? experience in undergraduate teaching in anaesthesiology, and am currently involved in postgraduate anaesthesiology training at the national level since the past 3 years. She has been invited as internal examiner for Physiology section for the national conjoint board exam, and am actively involved in the technical and expert committee in preparing the new national curriculum for anaesthesiology programme in Malaysia. Presently Dr Azrina is an Associate Professor at the Department of Anaesthesiology of IIUM. She is also a full time practicing Consultant Anaesthesiologist at the IIUM Medical Centre, Kuantan. 2018 - Present A Novel Particle Swarm Optimization with Levy Flight Algorithm for Imputation of Missing Creatinine Value. 2016 - Present "The Calorie Optimization Study with Indirect Calorimetry in Critically ill Patients: Development of Feeding Protocol in Intensive Care"
2014 - 2016 The Diagnostic And Predictive Performance Of Plasma Neutrophil-Gelatinase Associated Lipocalin In Critically III Patients With Systematic Inflammatory Syndrome, Sepsis And Acute Kidney Injury. 2011 - -1 RU 2011 -Diagnostic value of procalcitonin, C-reactive protient, Interleukin-8 in critically ill patients admitted with suspected sepsis. 2011 - 2013 RU 2011 -Diagnostic value of procalcitonin, C-reactive protient, Interleukin-8 in critically ill patients admitted with suspected sepsis. 18 August 2017 Best Oral Presentation. Annual Scientific Meeting on the Intensive Care (ASMIC) - National level. 10 August 2017 Best Poster Award (Clincial Medicine Category). Medical Research Symposium 2017 - National level. 10 August 2017 First Runner-up Best For Oral Presentation Award (Clinical Medicine Category). Medical Research Symposium 2017 - National level. 30 April 2017 Best Poster Award (Second Prize) 2017. Malaysian Society of Anaesthesiologist - National level. 30 April 2017 Best Poster Presentation (Second Prize). Malaysian Society of Anaesthesiology - National level. 30 April 2017 Malaysian Society of Anaesthesiologist Award 2017. Malaysian Society of Anaesthesiologist - National level. 30 April 2017 Malaysian Society of Anaesthesiology Award 2017. Malaysian Society of Anaesthesiology - National level. 01 January 2017 Contribution for IIUM MyRA 5 star rating. IIUM - University level. 27 August 2016 Malaysian Society of Anaesthesiologist 2016 Award. Malaysian Society of Anaesthesiologist - National level. 01 June 2016 Malaysian Society of Anaesthesiology. Malaysian Society of Anaesthesiology - National level. 11 October 2015 Best Paper Science (Third Prize). Malaysian Technical Universities Conference on Engineering and Technology (MUCET 2015) - National level. 30 September 2015 Department Best Indexed Journal Articles. IIUM Research Invention and Innovation Exhibition 2015 - University level. 13 June 2015 Malaysian Society of Anaesthesiology Award 2015 for Best Oral Presentation. Malaysian Society of Anaesthesiology - National level. 23 September 2013 Best Oral Presentation. Malaysian Society of Intensive Care Medicine - National level. 31 August 2011 Finalist in the Three Minute Thesis Competition. University of Otago - University level. 01 August 2011 The Best Contestant with Primary Supervision from Christchurch Campus in the Christchurch Three Minute Thesis Competition Heat. University of Otago Christchurch - University level. 01 October 2010 Promising Researcher Award. - University level. 09 March 2010 Quality Award. IIUM Promising Researcher Award - University level. 29 June 2006 MMed Anaesthesiology USM Award 2006. Universiti Sains Malaysia - University level. 30 April 2004 Research Fellowship Award. The Heart Foundation of Malaysia - National level. 01 July 1993 Katharine MacDonald Prize for Medical Microbiology. University of St Andrews, Scotland - University level.